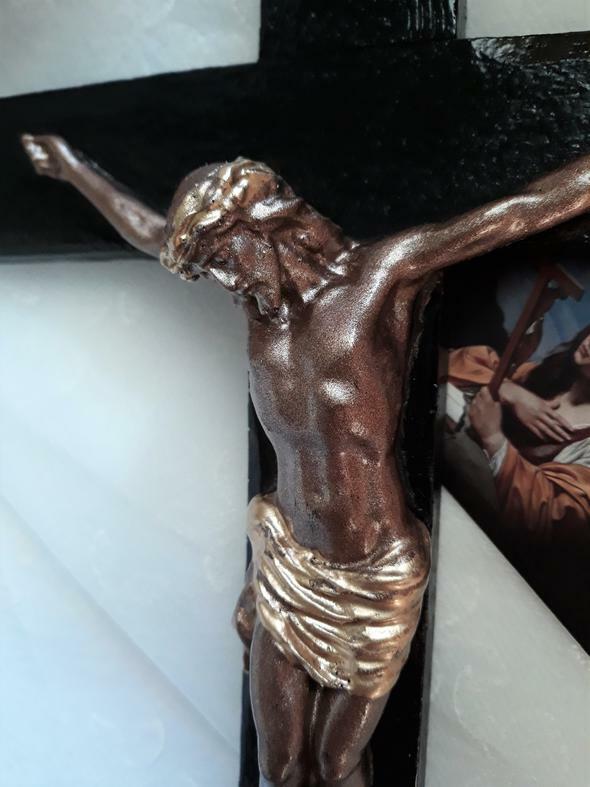 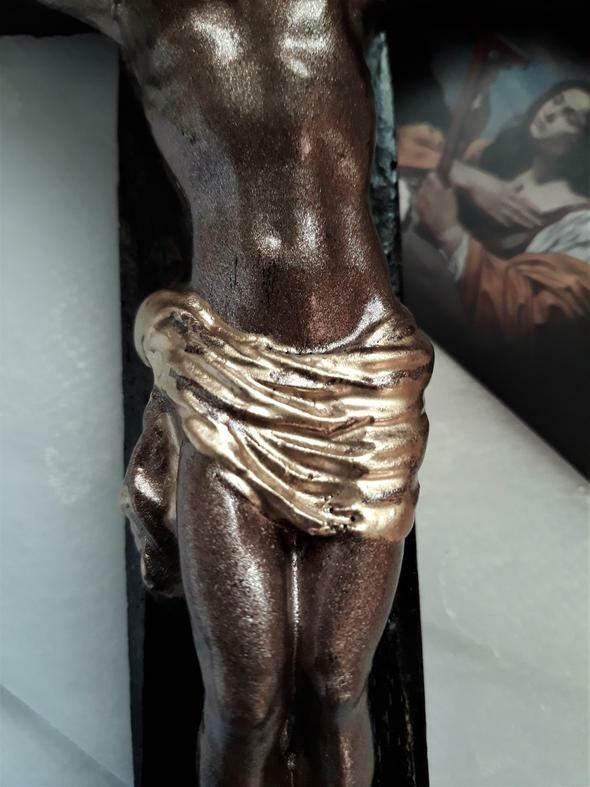 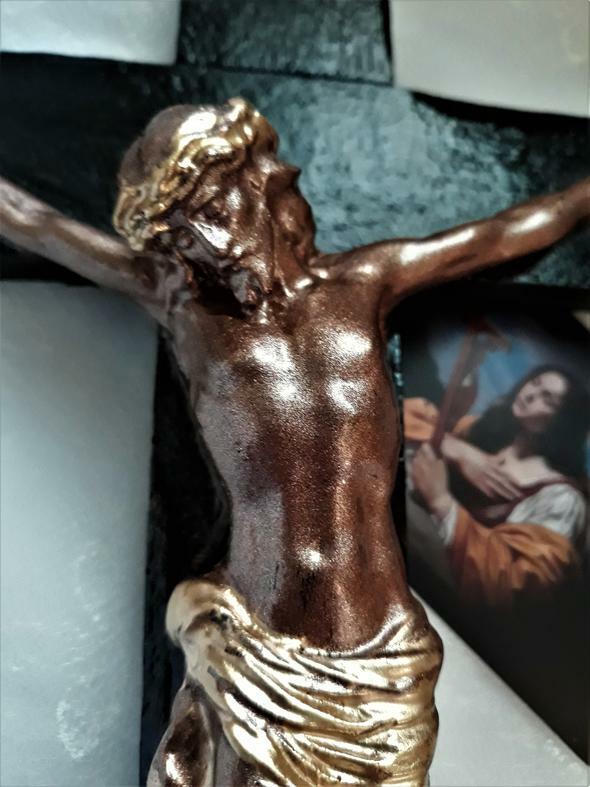 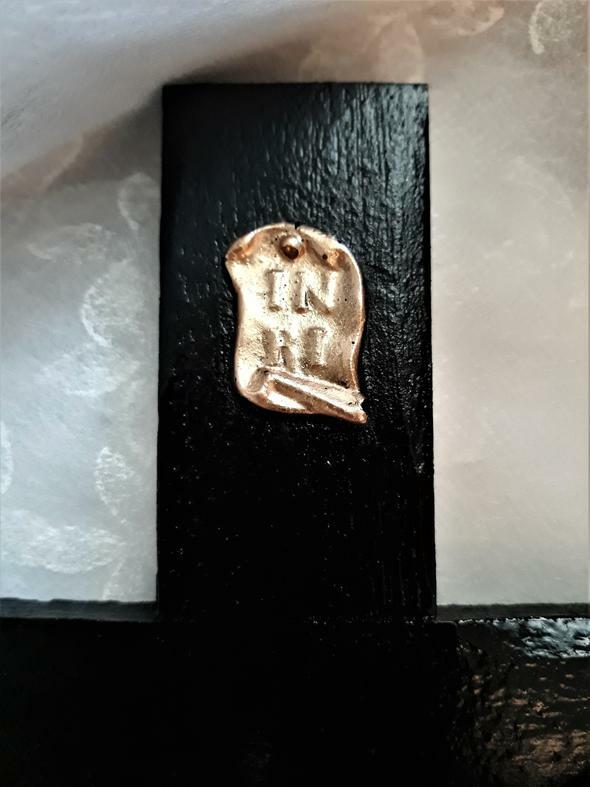 The Passion of Christ's suffering is beautifully reflected in this one of a kind Crucifix. 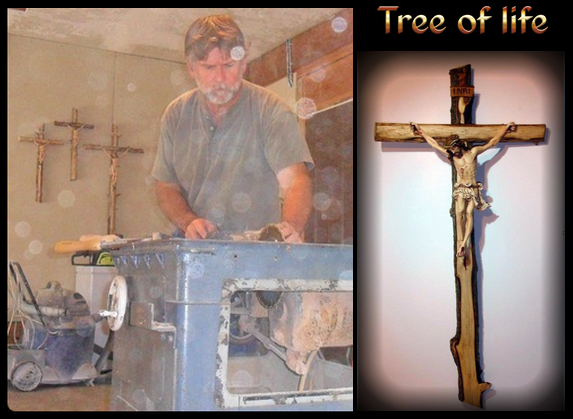 It stands 37" high and is hand-made from wood and cold cast resin. 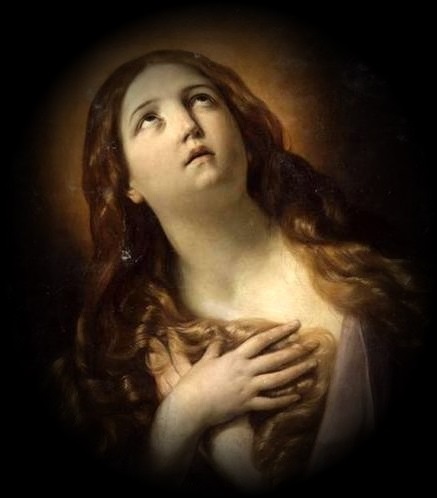 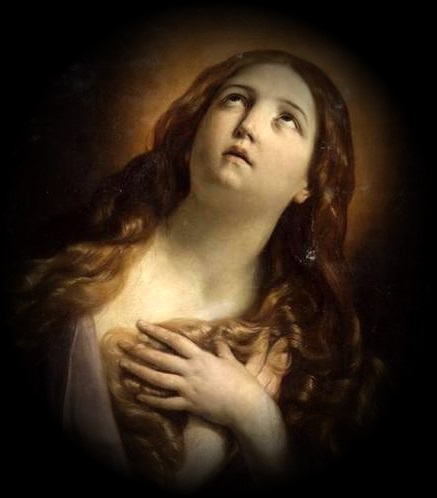 Hand painted in a rembrandt style adds to the majesty of this artistic piece. 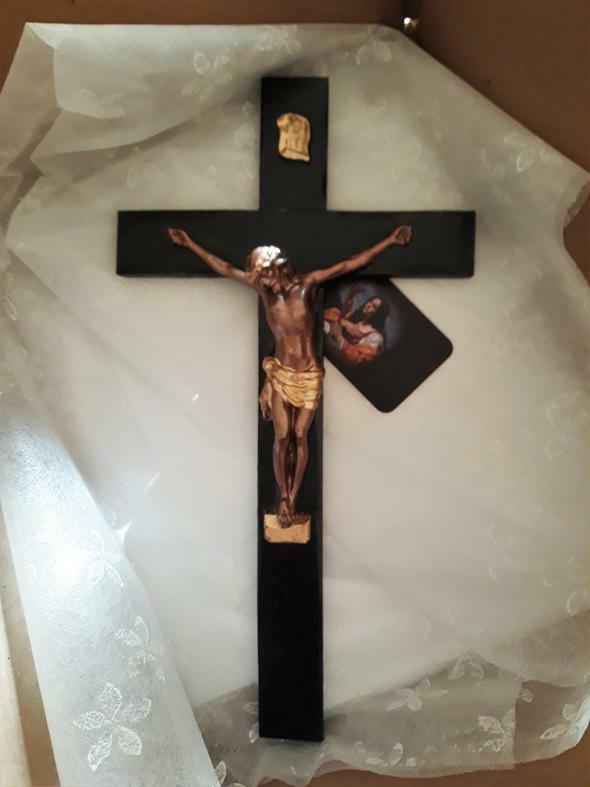 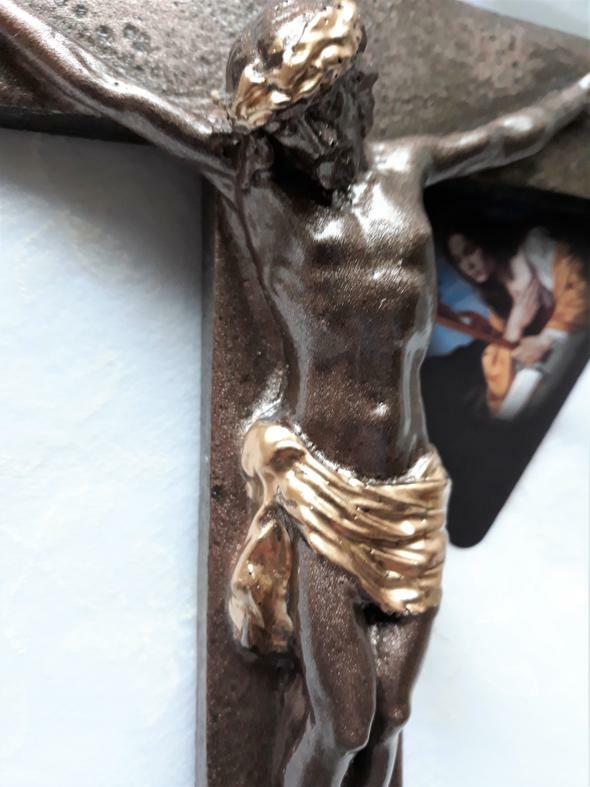 Each Crucifix is commissioned upon request hand-made to order and is available to ship anywhere within the Continental United States. 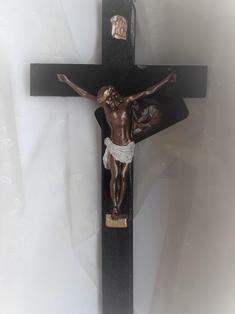 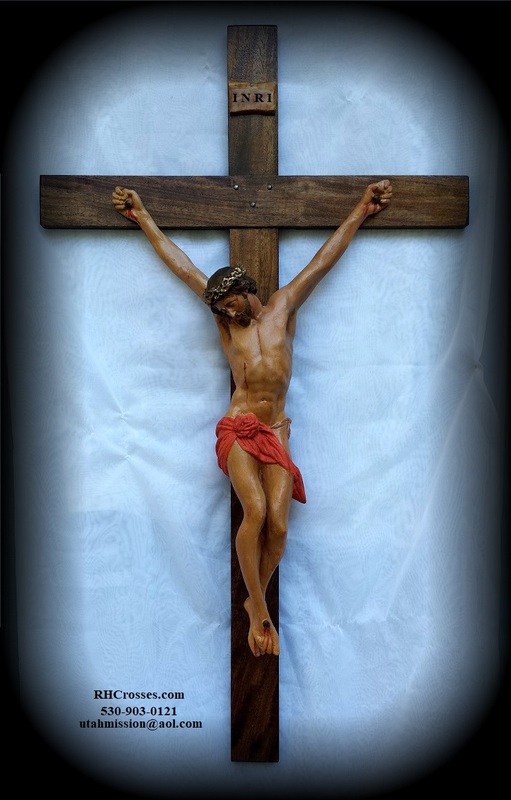 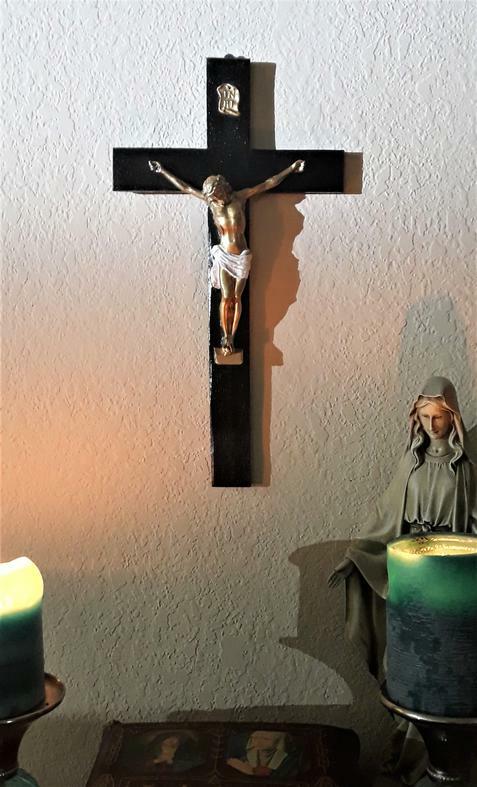 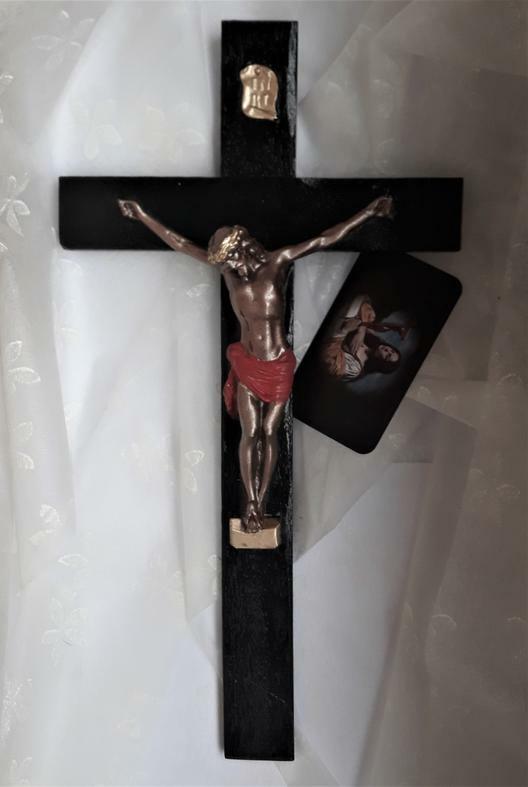 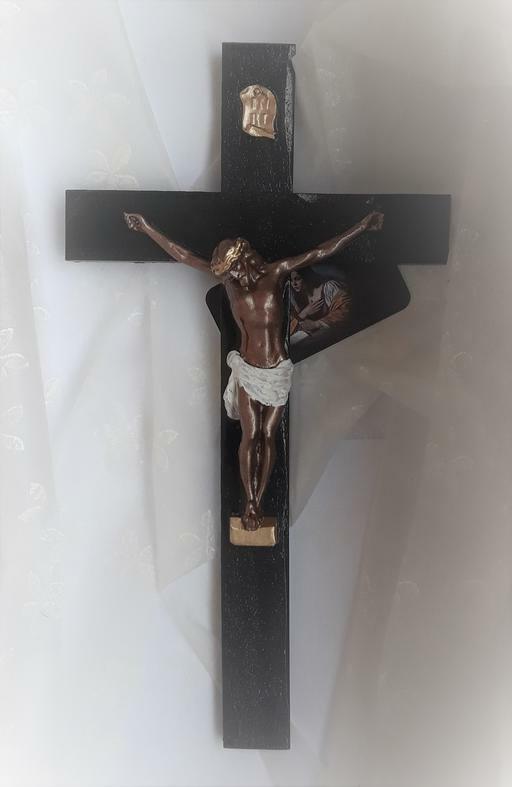 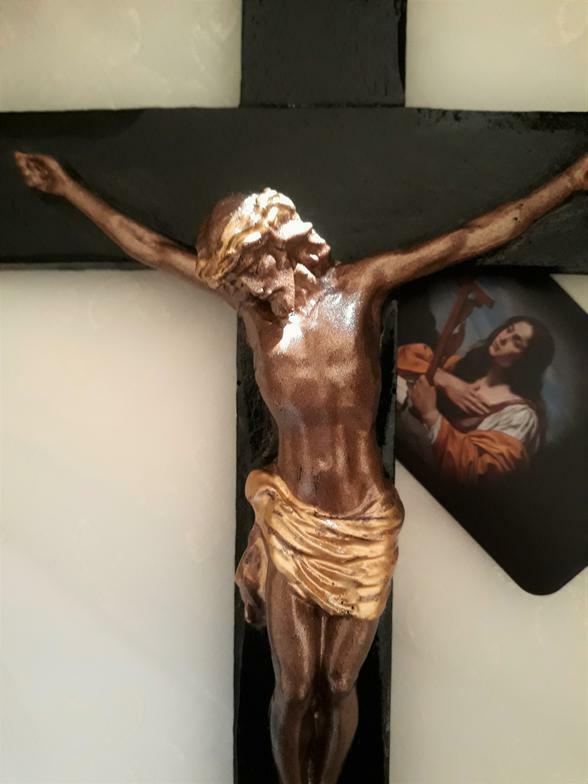 Make this stunning Crucifix the centerpiece of your home, church or mission. 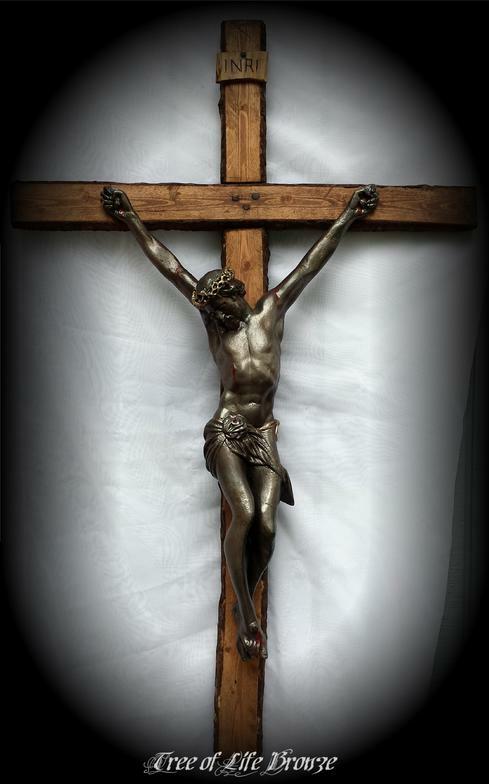 Please allow 1 week for completion and up to 5 days for delivery thereafter.